A brand new Harry Potter documentary is set to air on BBC Two to mark the 20th anniversary of the books. It has been two whole decades since Harry Potter and the Philosopher’s Stone was released and, to celebrate the occasion, the BBC is airing a documentary about the dearly beloved series. And that’s not all. Potterheads will be thrilled to hear that the documentary will also feature an interview with the one and only J.K. Rowling. The one-off special will air on BBC Two in conjunction with the British Library’s upcoming Harry Potter: A History of Magic exhibition, which takes place between October 20, 2017 and February 28, 2017. The exhibition will feature ancient texts and artworks, as well as manuscripts and personal objects donated by the author herself. Two new Harry Potter books will accompany the exhibition, titled Harry Potter: A History of Magic – The Book of the Exhibition, and Harry Potter: A Journey Through A History of Magic. No official air date has been announced as of yet, but we do know that the BBC film will share a behind-the-scenes look at the HP exhibition, delving into the stories behind the objects on display. The British Library’s Harry Potter: A History of Magic exhibition opens October 20, 2017 – February 28, 2017. 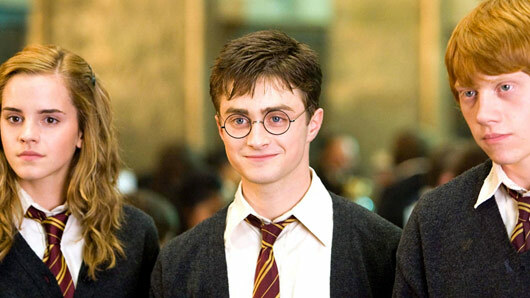 The Harry Potter 20th anniversary documentary will air soon on BBC Two.